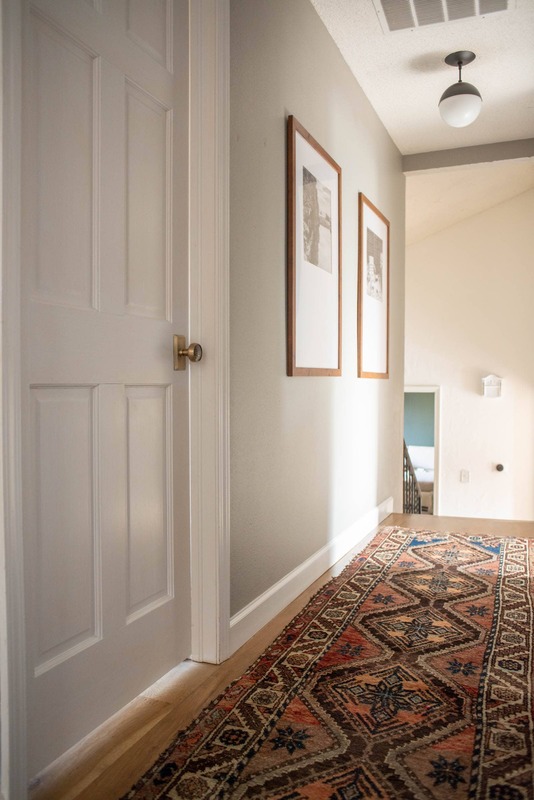 Our hallway remodel has taken a few years but now features wood flooring, a vintage rug, a beautiful DIY travel gallery, antique brass door knobs and more. 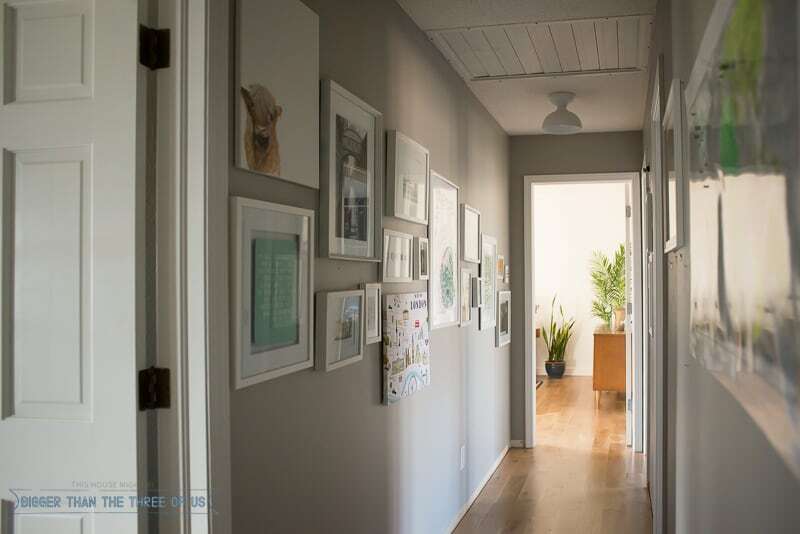 I can’t wait to share the before and after hallway remodel with you! 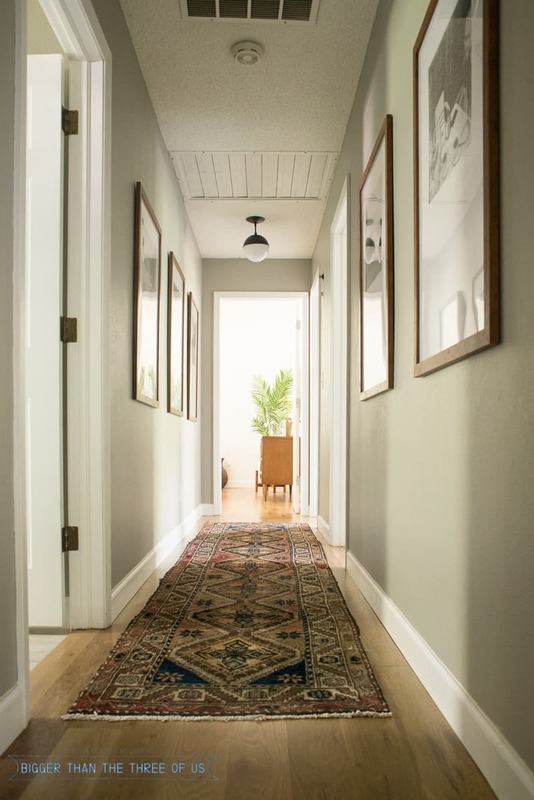 You’ll come away inspired to tackle your hallway renovation next, promise! I very rarely reveal a space and feel like it’s done. With the exception of our kitchen reveal and our front porch reveal, most of our spaces still need a little bit of love. Usually, I know exactly what it needs as is the case with our eat-in kitchen. I know that I want to eventually get all new stair railing or have our original stair railings powder-coated. It’s always EXTREMELY exciting for me when I get to share a space with you all that is done! 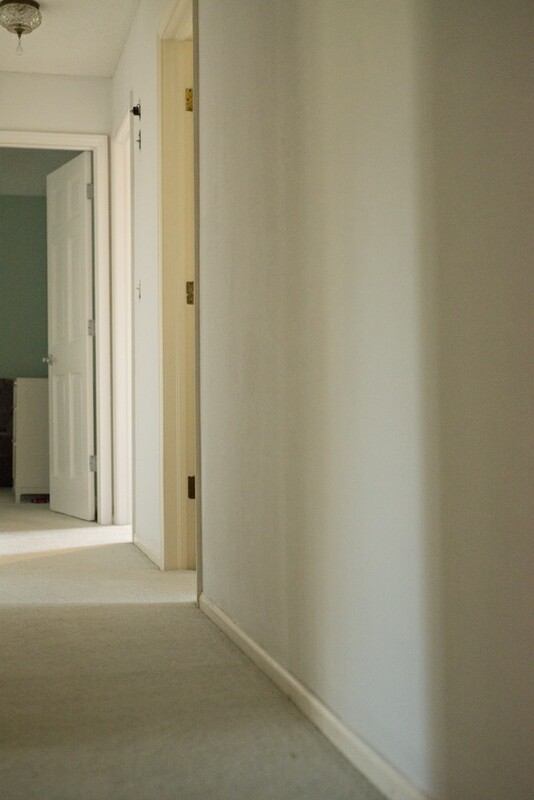 The hallway remodel is DONE and I’m thrilled to be able to say that. Let’s take a look back before I go into everything that we did to finish off the space! When we first moved in, there was dingy wallpaper and carpet, all the trim was cream and the ceiling vents were yellowed with age. Those were the worst offenders. The lights and door hardware were both really dated and needed updating as well. 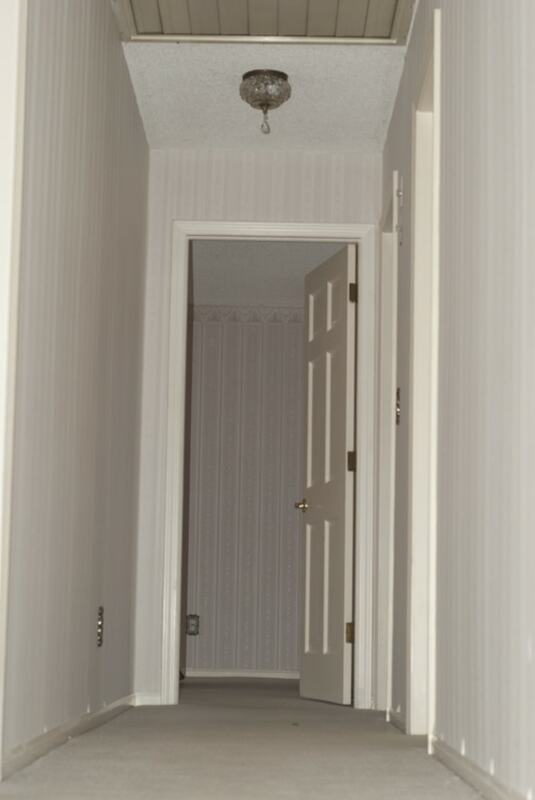 We pretty quickly tried to get the hallway to a better state by painting the doors and trim white and removing the wallpaper. 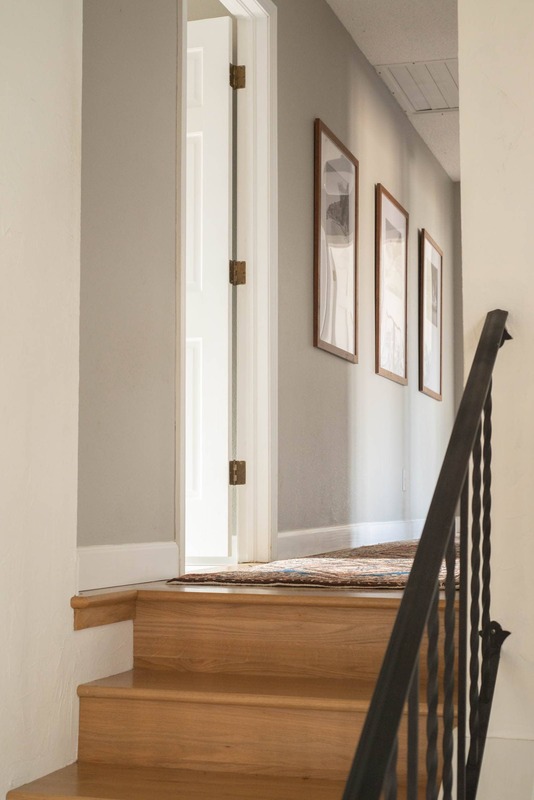 Eventually, I decided to paint the walls Grey Husky by Benjamin Moore and around that time, we were able to have oak hardwood flooring installed. That pretty much instantly changed the space. Next, I bought some budget-friendly lights and I tried my hand at a gallery wall. 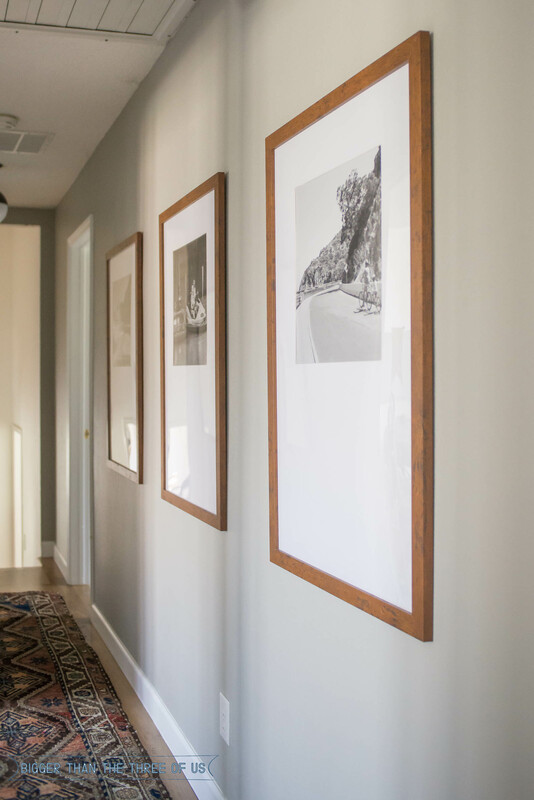 As my style evolved, I felt the gallery wall that I had up in the hallway was too juvenile. In 2017, I moved the budget lights to our closet (which they were perfect there for) and bought lights that would add some interest. I also DIY’d photo mats for a newer, modern travel gallery wall and added a vintage Persian runner. The space was almost finished and yet it wasn’t quite done. 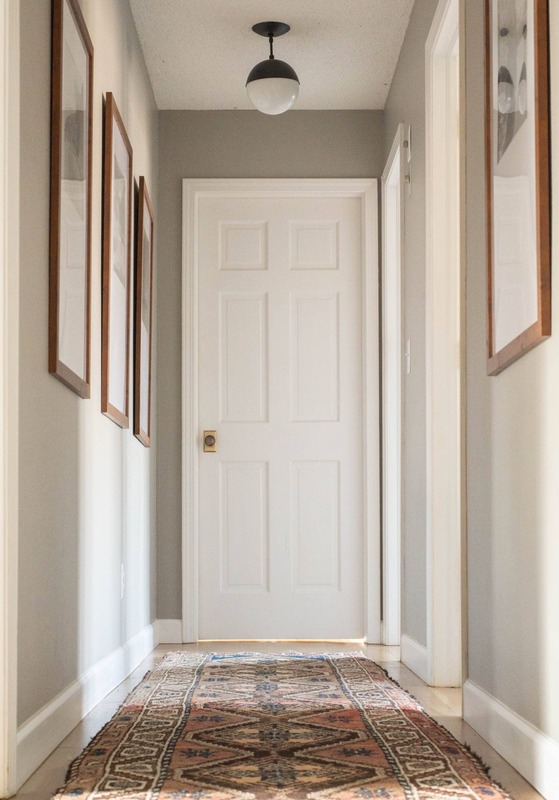 I knew that for the space to really be done, I wanted to change out all the shiny gold door knobs and the silver door knobs (yes, I painted some but not others) to the same high-quality door knobs that we used in our entryway makeover. *I was able to partner with Nostalgic Warehouse for this post! I loved their products two years ago and jumped at the chance to work with them again. I truly only work with companies that I love and would highly recommend. Affiliate links below. Click to read my privacy and disclosure if you have any questions. So, on my to-do list for the hallway remodel was to change out all the door hardware to the Craftsmen Door Knobs and Studio Back Plates (the same that I put in my entry) and to replace all the door hinges. I also needed to replace a photo in the gallery wall and freshen up some of the trim and door paint. Oh, and buy a feather duster for cleaning the ceilings. You would think that last one would be something that was done regularly, but no. Don’t judge me. Ha! I’m happy to say that I crossed everything off my hallway to-do list! It feels amazing to walk up the stairs and walk through the space and know that everything is done. I know I’m going to get asked about the paint colors. For the grey walls, I went with Grey Husky by Benjamin Moore in Eggshell. The trim and door paint is Ultra White by Valspar, color-matched to Benjamin Moore Advance in semi-gloss. As you can tell, we’ve really done a lot in our space! 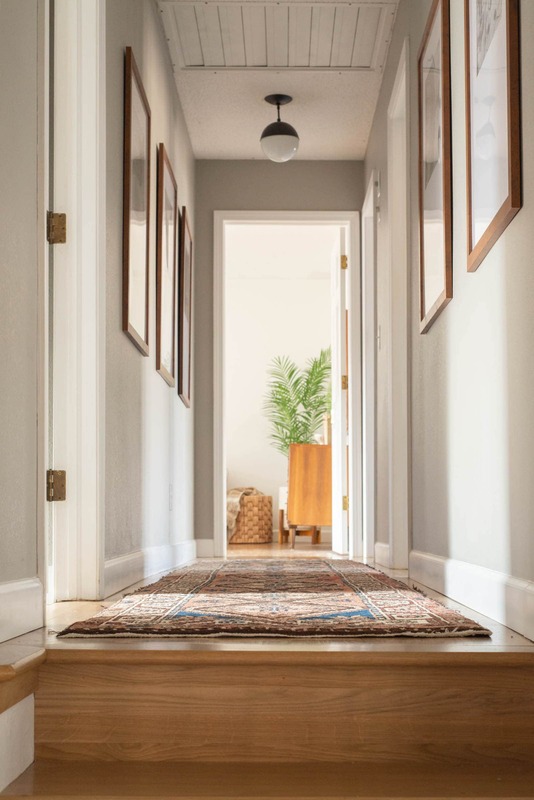 If you are just getting started or don’t even know where to get started with your hallway renovation, maybe some of these ideas will help! Well, that’s one more space to check off the list! I’m a pretty happy camper right now. Although, I’m still dreaming about installing a stair runner on my stairs! Shhh… don’t tell Luke!